The hunters arrive at Narsarsuaq airport. After receiving the luggage, you will be transported to the harbour of Narsarsuaq where you will continue the trip to Iviituut by passenger boat. 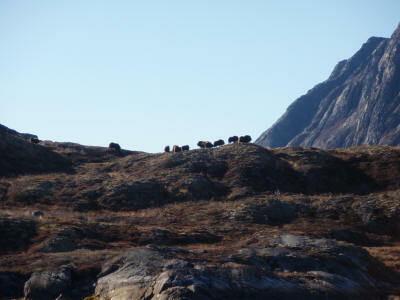 After six hours of sailing through the beautiful fiord Skovfjorden and passing the old settlement of Eric the Red in Qassiarsuk and Narsaq, the most beautiful city in Greenland, we arrive at Ivittuut near Grønnedal. Grønnedal is the royal Danish navy base located at the Arsuk Fiord and Ivittuut is an abandoned mine town about 6 km from Grønnedal. Upon arrival to Ivittuut you will be accommodated at the Hotels of Ivittuut and Humlebo. The Hotel of Ivittuut is a former hospital with 2 double bedrooms and 1 single bedroom. There are also two living rooms, one with television. Humlebo is a lodging house with 8 single bedrooms with shared bathroom. Each bedroom contains a sofa, a small table and a large cupboard for storing clothes and equipment. In Humlebo there is a shared tea kitchen, living room and a drying room. 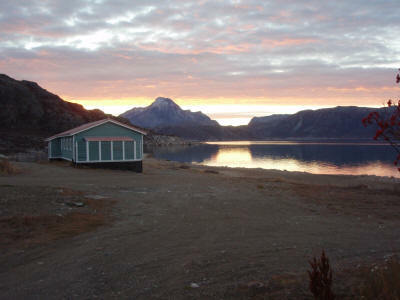 The lodging at Ivittuut has a fantastic view of the Arsuk Fiord. In Grønnedal you will also find the infirmary, where medical assistance is provided and Dalshoppen, where you can buy clothing, equipment or other necessities. When not hunting, the meals are served in the large living room at the Hotel of Ivittuut. The kitchen staff of The Hotel Ivittuut prepares all the meals. Breakfast is served at 6.30 the next morning. While eating breakfast you will be informed about the programme for the day, the course of the hunt, the security rules etc. After breakfast and adjusting your weapon, we set off to the hunting area with boat. 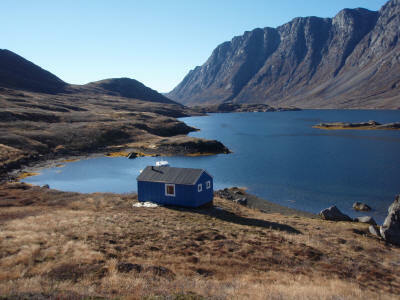 You will be transported to the Ika Fiord, the Witch Spot or another place that the hunting officer points out as the place for today’s hunt. When the trophy animal is located you will be taken ashore in an inflatable boat. Together with you the hunting officer or guide will locate and stalk the trophy animal. The hunt is performed as a stalk in the area. 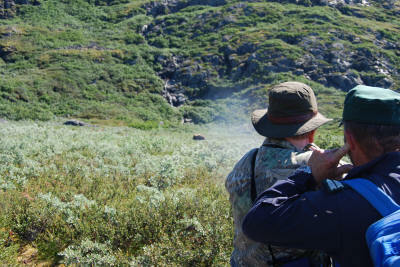 You move quietly in the terrain while awaiting the signal for shooting from the hunting officer. Shots are aimed at the neck, the chest or the shoulder blade of the animal. The minimum calibres used for shooting trophy animals are 30/06. After hunting, you are transported back to the camp. Same procedure as for day 2, for those who have not been participating on day 2. 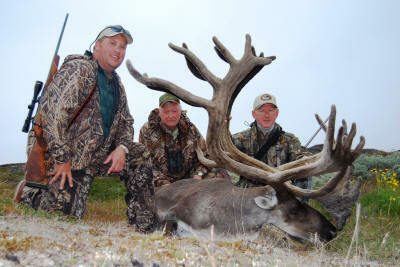 If you are interested in combined reindeer and Musk-ox hunting, please contact us for an offer. 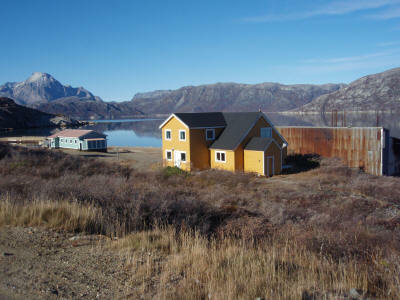 Departure from Ivittuut to Narsarsuaq, and returning home. See our 2009 price here.